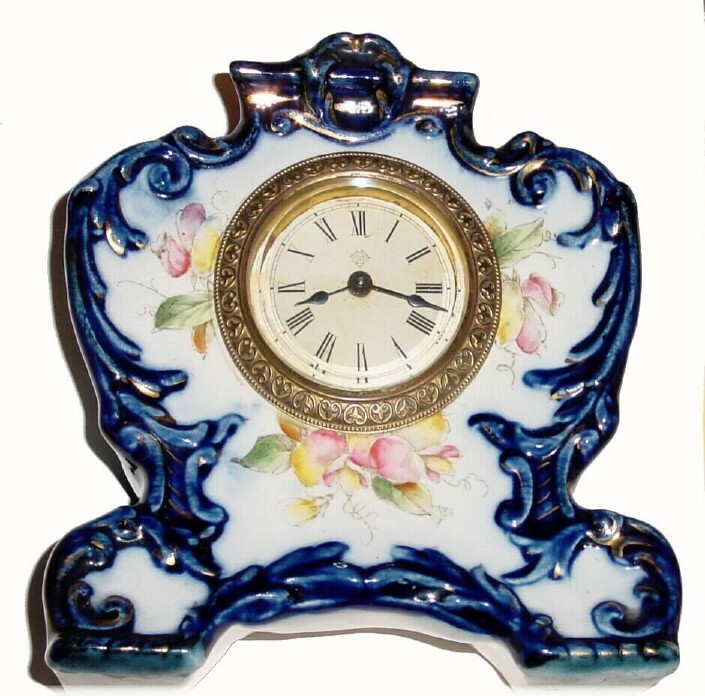 C.1904, Ansonia Clock Co., "Catbird" 30-hour porcelain timepiece in cobalt blue and in excellent original condition. The china case with no chips nor damage. There is some loss of the gold highlights from normal use. The original dial is good, but the pan has a wrinkle from the last person who removed it and the reflector ring with a dimple as well. The hands and outer bezel are original and fine. Height 6 1/4"